[SatNews] RSCC, with Romantis GmbH, have established a new project to provide video services in Africa. 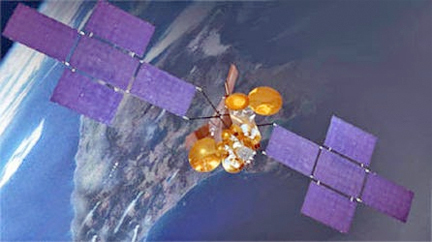 Artistic rendition of RSCC's Express-AM6 satellite. RSCC and Romantis GmbH are creating a new technological DTH TV platform for African coverage. The TV broadcast service package will enable current and new broadcasters to launch and promote national and regional TV programs all over the African continent. 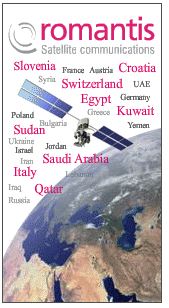 This cooperation will employ the new Russian telecommunications satellite Express-AM6 that was launched on October 21, 2014, and the German teleport VicusLuxLink. “Based on the use of RSCC Express-AM6 spacecraft capacity, this project is a pioneering effort for the African continent. The project is implemented together with Romantis—when the satellite is commissioned and placed into the commercial operation, we are planning to deliver the TV broadcasting services on the African market, which presents a most attractive business platform. The broadcasters will get this ready-made solution upon which they can then provide their services,” said Yuri Prokhorov, RSCC Director General. “We appreciate the long-term successful cooperation with RSCC, especially in the field of TV broadcasting, which is a significant part of Romantis worldwide business activities. The launch of the new RSCC satellite with the capacity related engagements in Europe, the Middle East and Africa will boost the business cooperation between RSCC and Romantis to a new level,” said Dr. Harald W.Stange, CEO of Romantis GmbH.